Kelly-Ann Way was born in Windsor on September 18, 1964. An accomplished cyclist, her trailblazing achievements include being the first North American to win a stage of the Tour De France. She raced for the Canadian National Cycling Team from 1983 to 1992, won the silver medal in the women’s individual pursuit at the 1987 Pan American Games, and participated in 2 consecutive summer Olympics in 1988 and 1992. Way’s cycling career began at an early age when she was introduced by her parents, themselves avid cyclists, to the sport at the age of 7. In 1975, at the age of 11, Way began to ride for Windsor Bicycle Club and was coached by President Father Gordon, where she entered Novice races in Ontario. In 1977, at the age of 13, she became a licensed rider, enabling her to compete in sanctioned races at the national and international levels. In 1979, she overcame Junior and Senior women to win her first Provincial Road Championship. In 1980, the 15-year-old Way travelled to Montreal to compete in her first national race. In 1981, Way was a medal winner at the Canadian Nationals in Edmonton and by 1983 began to travel with the Canadian National Cycling Team. In 1984, Way qualified for the Los Angeles Olympics but instead competed in the Tour de France (competing again 1985, 1987, and 1989). 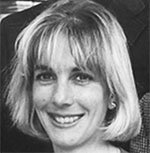 During these busy years Way still found time for her for studies, earning an Honour’s Degree in Human Kinetics from the University of Windsor in 1988. 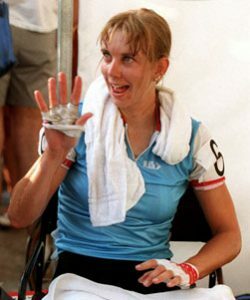 Way retired from competitive cycling in 1993 with outstanding career accomplishments in Canadian competition: 28 gold medals (4 National, 24 Provincial), 14 silver medals (7 National), and 6 bronze medals (4 National). Internationally Way competed at 14 combined Road and Track World Championships and 4 Tours de France, and 2 Summer Olympic Games. In recognition of her accomplishments, Way has been given many formal honours including being presented with the “Key to the City” of Windsor (1989), being inducted into the Windsor Essex County Sports Hall of Fame (1998) and being inducted into the University of Windsor’s Alumni Sports Hall of Fame (2001). Outside of Windsor-Essex she was named the Ontario Cycling Association Sportswoman of the Year five separate times (1984, 1986, 1987, 1988 and 1990). She was under consideration for the Canadian Cycling Hall of Fame in 2015. Way remains active in Windsor’s community and works as a Registered Massage Therapist. She has recently served the Windsor community by advocating at City Council meetings, filming bicycling PSAs promoting safety.